A decade ago, when I started studying the scriptures from my gurus, I met quite a few devotees who asked me to read their gurus’ books if I wanted to receive the right devotional knowledge. Their suggestions left me wondering how one could get gyan (knowledge) just by reading books. 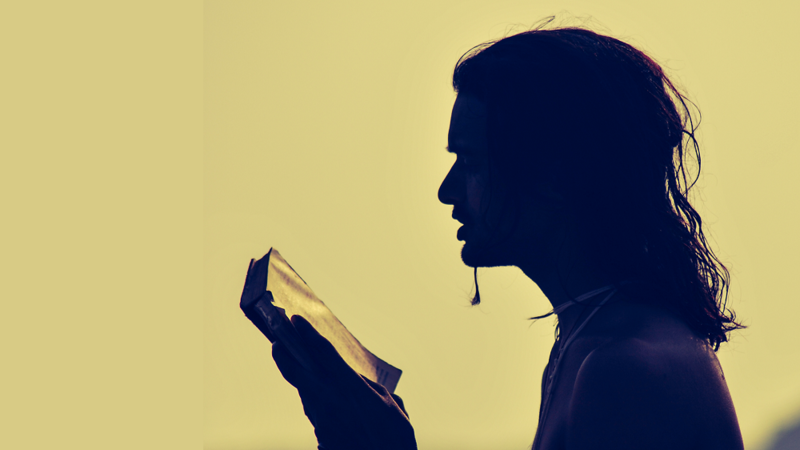 Was it so easy to read a devotional book, just as one would pick up a novel, and become a knowledgeable devotee? It is one thing to faithfully read the works of one’s guru or spiritual master, but it’s quite another to know the historical, philosophical and theological basis of the guru’s conclusions. I observed that many of these devotees belonged to the same religious school, but when they discussed spiritual topics amongst each other, they always argued and fought, like children belittling one another; each one on a crusade to prove that his or her guru’s reasoning was indisputable. It appeared to me that there was no clear resolution from the disputes. Moreover, these devotees belonged to the same guru, but they came up with different conclusions. If they were really following their guru’s message then they would be fixed on a single answer, just as their spiritual master was. 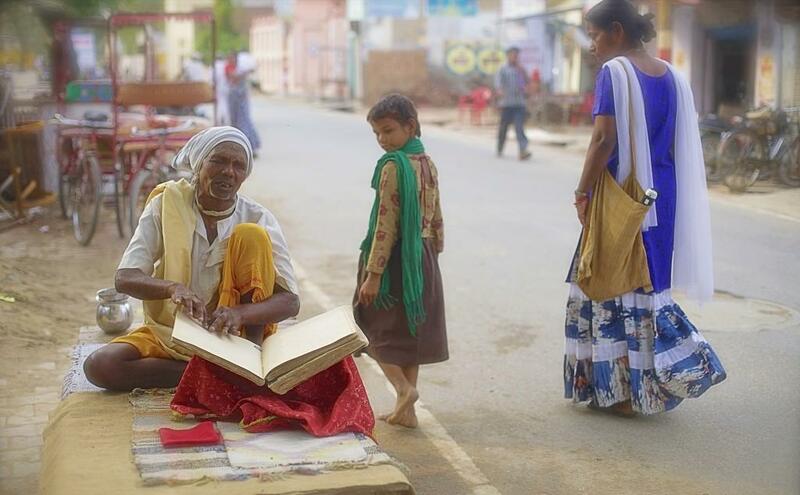 Just by reading books, a false sense of power and authority seemed to blossom within these ‘learned’ devotees. I questioned whether they really understood the knowledge or was it merely a case of different mindsets, coming from dissimilar perspectives and imparting their ideas. If this was the case, I was left with some doubt as to the devotees’ comprehension of their gurus’ realisations’ on philosophy. A tribal man comes to the city for the first time. He enters a coffee shop and sits at a table where a device has been left or forgotten. In this case the device is an iPhone. He looks at the iPhone inquisitively, and with his senses, he tries to make some observations, but he is unable to figure out what it is. The owner of the iPhone, who comes back to retrieve his property, explains the function of the phone to the tribal man. Finally, the owner turns on the iPhone and gives the man a demonstration. Thereafter, the tribal man has some knowledge of an iPhone. In this example, there is a subject (the tribal man), an object (the iPhone) and there is knowledge. Initially the man makes a few observations by himself but he needs some information (in this case, verbally), before he sees how the device operates. Through the use of his senses and intellect, the tribal man has some knowledge of an iPhone now. Whatever knowledge he acquires in this way, creates a specific impression or modification in his mind which is known as chitt-vrtti, where chitt is a component of the mind or inert matter which appears to have awareness. Images, sounds and other sensations reach the chitt through the nerves and brain cells.Vrtti is activity and each vrtti is temporary, therefore knowledge is also temporary. But vrtti leaves an impression in the chitt which becomes the source of memory. Knowledge, whether it is spiritual or material, creates impressions in the chitt. I will reveal my understanding of this concept. Chitt is like a hard drive, it collects data. Storage of data in the chitt becomes an impression and when one tries to access a particular piece of data, it has to reach the mind, where it is processed and becomes knowledge. 1. gyaptih gyanam: The subject has awareness or consciousness of an object but lacks the knowledge he gets from direct experience of that object. For example, two people Ram and Shyam (the subjects) are talking about travelling to Vrindavan, a place they have never been to. Ram warns Shyam to avoid certain situations for his own safety. Shyam replies, “I know, I know.” Here there is a difference between knowing and knowledge. Shyam may have read about Vrindavan but he has no direct experience of the place and its dangers yet says that he knows. What is it that he knows? What is the exact nature of his knowledge? Also, Ram may have read about Vrindavan or he may have heard about the place from others. His words of caution to Shyam have no real substance because he does not have direct experience of the dangers. Is it very dangerous? What are the specific dangers? Many devotees and preachers are like Ram and Shyam. They read a few select books and convince themselves that their knowledge is whole. But they forget that real experience of the scriptures come by intense chanting, not just by reading them. 2. gyayate anena iti gyanam: Gyan in this sense has content because this type of knowledge tells the subject about an object. In Vedantic terminology, this is known as vrtti-gyan. In the example of the tribal man, the information about the iPhone is the instrument that allows him to have knowledge of the object (how to use the phone). 3. gyanam asti asminiti: This type of gyan is knowledge that one possesses without being taught. According to the Manu Bal Vigyan, there are six kinds of this type of gyan in a newborn baby: to fear, to laugh, to cry, to feel hunger, to have an urge for lust and to sleep. In general, the second definition is used to describe the word gyan, where knowledge serves to reveal an object. Although this type of knowledge reveals an object to a conscious self or soul, one needs to understand that this gyan does not reach the soul; it remains external to the conscious self and therefore it is not eternal. Only bhakti (devotion) can penetrate the soul. The soul has an outer layer, chitt, which envelopes it and gyan is only stored here in the form of impressions. The Advaitvadis, followers of Adi Shankaracharya’s philosophy, believe that our true nature (swaroop) or our soul is composed of knowledge (gyan) and it is already perfect, but due to ignorance from material existence, we think of ourselves as limited and conditioned. In the Bhagwat Gita (5.15), Lord Krishn says, “The knowledge is covered by ignorance that bewilders the living beings.” If ignorance is removed, the Self (the soul who has realised the Lord in his heart) will shine in its own glory. In the abovementioned Bhagwat Gita verse, when Lord Krishn says that ignorance covers knowledge, He means that a person loses the ability to make proper decisions because he does not have knowledge of himself or external knowledge and is thus left bewildered. Here, knowledge is not inherent, in other words it is not knowledge one possesses without being taught. On the contrary, the Advaitvadis believe that knowledge of the Self is covered by the cloud of ignorance; when this cloud is removed, the Self realises its own knowledge, which is intuitive. To give a visual example of this philosophy, we can say that clouds which block the rays of the sun are blown away by a gust of wind, removing the darkness. Even when the sun is obstructed, it does not lose its radiance. Here, the clouds represent ignorance, the darkness is material existence and the sun’s radiance is an analogy for the knowledge possessed by every soul. In reality, when one starts to analyse this understanding, many questions arise. If the Self is full of knowledge then why does one question who one is and what one’s true purpose is? Just as darkness can never cover light, ignorance can never hide knowledge. Darkness is nothing but an absence of light and ignorance is nothing but an absence of knowledge. To cover something, the covering agent must have positive existence and darkness and ignorance are not positive entities. Moreover, in the Bhagwat Gita (4.39), Lord Krishn says that a man of faith who attains knowledge (gyan) becomes peaceful. If this knowledge was already within us, there would be no need to attain it in the first place. In the Bhagwat Gita (7.2), Lord Krishn declares to Arjun that He will now impart this knowledge unto him. Again, why would the Lord waste His time if Arjun’s soul already possesses this knowledge? The Lord removes ignorance by giving Arjun knowledge of his soul. Some people declare that Bhagwan has six qualities and one of them is knowledge, and since we are part and parcel of the Lord, we have this knowledge already. Therefore we do not need to learn anything, nor do we need the shelter of a guru. This is an incorrect conclusion. For example a drop of the ocean does not have all the qualities of the ocean. The ocean contains waves but a drop of water does not. One can sail across the ocean but not across a drop of water, and so forth. Likewise, the Lord and those who are part and parcel of Him are not identical. In order to acquire the right knowledge, which cannot be learnt and understood by merely reading books, Krishn Himself advises the aspirant to approach a spiritual master. Knowledge is a vast topic. Speaking on the subject of devotional knowledge is something more than just knowledge. By the blessings of our acharyas, I will try to explain devotional knowledge in my next blog. I will continue to pray for those who delude themselves into believing that they are knowledgeable just by reading books. By the mercy of our acharyas, I hope that these people actually start to understand the depth and conclusion of their gurus’ realisations. There are many different types of knowledge and before one treads the path of devotional knowledge, one should be clear about the basics first.